Available in 2.5 gallons, 5 gallons, 15 gallons, and 275 gallon totes. Call us on 1-877-732-5360 or please email questions to office@edenbluegold.com. WHAT CAN PROPER POTASSIUM LEVELS DO FOR YOU? Potassium (K) is an essential nutrient for plant growth in vegetative and flowering cycles. Potassium can not process without proper levels of Calcium and Phosphate. When proper levels of Potassium exist, plants are known to increase flower production and fatten flower. Additionally, leaf knife tip yellowing will be eliminated with proper Potassium levels. Properly setup plants during vegetative cycles with Potassium, Phosphate, and Calcium will set up the plant for tight internode stacking and bloom sets with zero leaf knife tip yellowing or burning. Properly balanced nutrition is the key to increased size, density, weight, and quality of production. Our Blue Gold™ Special K undergoes our trade secret Eden Synergy micronization process which maximizes immediate bioavailability and combines our Potassium sources with our flagship Blue Gold™ technology. 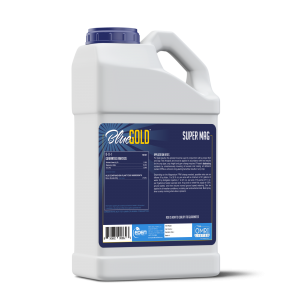 Blue Gold™ Special K is formulated from a Sunflower Husk, Blackstrap Molasses, and Kelp Extract (Ascophyllum nodosum). Note: Due to the third-party processing of the Kelp trace amounts of Potassium Hydroxide and Potassium Chloride are left over from the solvent soak process. We wash and cleanse the Kelp before use in our products to provide a pure powdered Kelp ingredient source that is cleanly re-hydrated. The Blue Gold™ Special K ingredients are micronized via cold mechanical processes.